One of the hardest things that anyone has to go through in life is losing someone they love. This can be emotional, difficult, and extremely hard to process for many people. However, it is important to remember that you still have a life that needs to be lived and that you have a family that needs you and cares about you. Four Seasons Hospice not only provides exceptional hospice care in San Antonio Texas for your loved one, but we can also help you cope and get through the obstacles usually involved in hospice situations. Here are a few ways to cope with the possible loss of a loved one. You are not alone. There is always someone out there willing to help. Whether it is a family member or a professional, it is important to seek help when you feel like you need it. 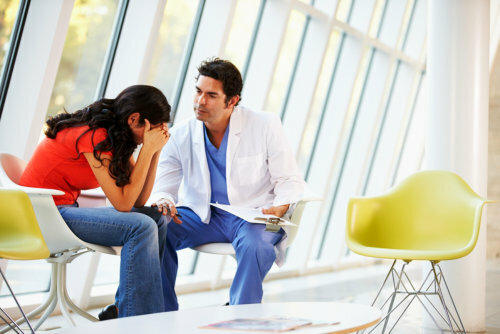 You do not have to shoulder the pain alone and by talking to others and receiving counseling from friends, family, and even from professionals, you can begin the moving on process. The last thing that many of us want to do is talk about it. This is because we fear the pain that can be unleashed but this is an important part of moving on with life. Our hospice team is here to listen to you and we completely understand what you are going through. Just talk about it and let it out. As a home health care in San Antonio Texas, we offer professional services that not only assist your loved one but can also help you. One of these services is counseling. We have professionals that can help you navigate these difficult times and help you begin the process of moving on and to start healing. We know that it is hard and it is emotional but we are here to provide you with a shoulder to lean on. If you would like to find out more about what we are able to do to serve you and help you cope with the possible loss of a loved one, please do not hesitate to visit our website at www.fourseasonshospicesatx.com. We are utterly committed to providing you with the support you need. We also have staff who provide exceptional senior care in San Antonio, Texas. This entry was posted in Hopsice Care and tagged Coping with Loss, Counseling, Hopsice Care, Seek Help, Talk About It. Bookmark the permalink.